Add the milk and the food colouring. Mix the butter and cream cheese in a large bowl. Choose cone shaped strawberries and cut off the top and bottom. 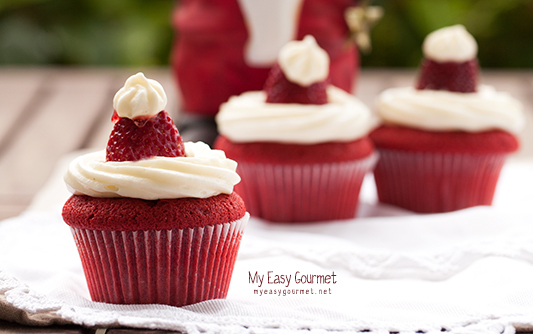 Place a small amount of icing on the center of the cupcake, put the strawberry on top of it and garnish with frosting around the strawberry and on top of it. 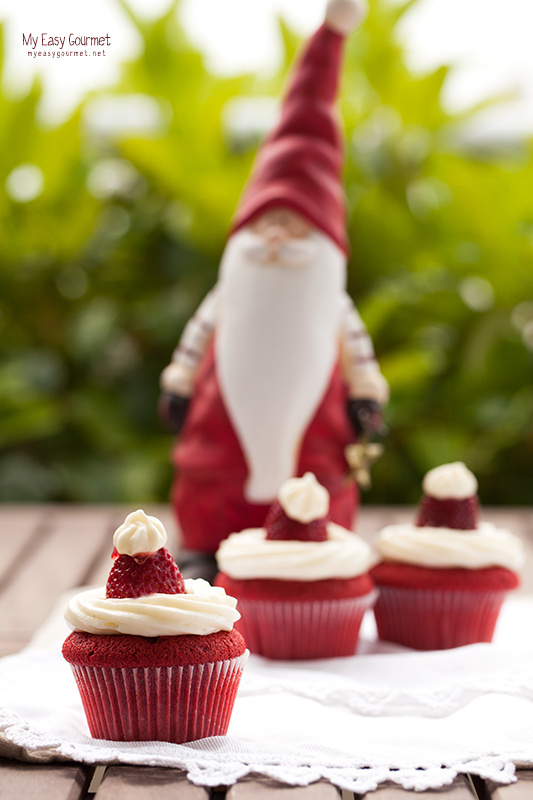 Alternatively, cover the cupcake’s surface in frosting and place the strawberry in the middle.